International development charities have said they know they cannot go back to "business as usual" in the wake of the International Development Committee’s report on sexual exploitation in the charity sector. The report, published today, gives a harsh verdict on the aid sector, saying widespread sexual abuse and exploitation was an "open secret" and historically the sector’s response to the issue had been "one of complacency, verging on complicity". The report was triggered by a slew of national newspaper stories about sexual exploitation of staff and beneficiaries at aid charities, beginning in February with a report in The Times that alleged Oxfam staff members had employed local women as prostitutes in Haiti in the aftermath of the 2010 earthquake. Judith Brodie, interim chief executive of the NGO umbrella body Bond, said that, although progress had been made in recent months, there was more to be done. "We as NGOs know that ‘business as usual’ is not going to cut it and change has started and is under way," she said. "We need to see increased resources for safeguarding, particularly for smaller NGOs, more collaboration across organisations, donors and governments, better transparency, unwavering leadership and measures to ensure whistleblowers and survivors are at the heart of any solutions. "This sadly cannot undo previous shortcomings, but it will result in a safer and more secure environment for both beneficiaries and staff." Brodie said the increased public attention on safeguarding had resulted in more people coming forward with allegations. But this, she said, was a sign that the culture around safeguarding is shifting towards better reporting, screening and accountability. "We can only deliver zero tolerance of sexual exploitation and abuse with strong leadership and culture change in our organisations, and as a sector we are committed to delivering this change," she said. Caroline Thomson, chair of Oxfam, said the report made for "incredibly painful reading". She said: "Oxfam exists to help improve the lives of the world's most vulnerable people. We know we failed to protect vulnerable women in Haiti and we accept that we should have reported more clearly at the time. For that we are truly sorry. "We have made improvements since 2011, but recognise we have further to go." She said Oxfam was committed to the safety and dignity of everyone who interacted with the charity and since February had tripled funding for safeguarding, established an independent whistleblowing helpline and committed to publish details of safeguarding cases twice a year. Kevin Watkins, chief executive of Save the Children UK, praised the report as rigorous and constructive, saying it offered "practical proposals for change". He said the charity particularly welcomed the committee’s support for the idea of an international register of aid workers, which it said would help to prevent abusers from working in the sector. "Along with other charities, we have heard the wake-up call for the entire aid sector loud and clear," he said. "Measures proposed in the report could, if implemented effectively, transform the safeguarding environment – and we are committed to act." The starting point, he said, was for aid charities to get their own houses in order. "We have made mistakes in our own handling of historical sexual harassment complaints from staff in the UK," he said. "Although some progress has been made in creating a more respectful working culture, there is a great deal more to do." Save the Children faced controversy after allegations emerged of inappropriate sexual behaviour towards staff by its former chief executive Justin Forsyth, and former director of policy, Brendan Cox. The charity had commissioned an independent review of it organisational culture and would make the results public, Watkins said today. In a statement, the Charity Commission expressed interest in the recommendation to create an international aid ombudsman. It said that the size, complexity and multi-jurisdictional nature of the aid sector meant there were a number of "regulatory gaps" in the system and it was not within the commission's remit to investigate individual complaints of abuse. 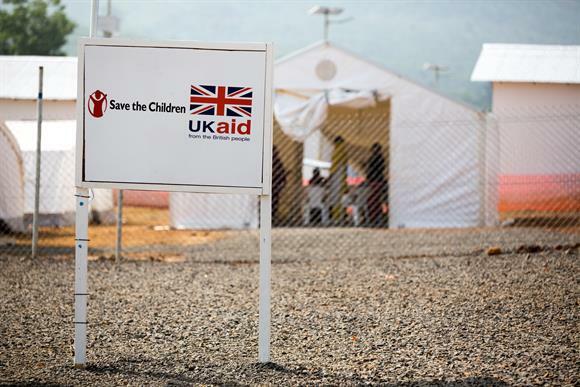 "We stand ready to work together with government, the charity sector and the broader international aid sector, if this recommendation is taken forwards," it said. Elizabeth Chamberlain, head of policy at the National Council for Voluntary Organisations, said the sector owed it to beneficiaries, supporters and charities themselves to think carefully about the recommendations and to do all that was possible to prevent future abuse. She said: "I know the will is there to find a solution to these problems and I think it’s essential that we do, so we can show that not just the aid sector, but all charities, operate with the most exacting of standards, as the public expect."